Back in the summer when I worked in Central, my lunch would always be above my budget. I was quite sick of take out and I wanted to try a decent priced and quality French restaurant in Hong Kong with a friend. My colleagues recommended La Marmite by Aqua Restaurant Group for their lunch menu so I booked a table and gave it a go. Just a heads up, the owner of La Marmite is French so this is legit French food in Hong Kong. Their set lunch menu is at HKD98 for two plates and HKD118 for three and since I usually don’t eat a lot for lunch I just went for the two plates. Before the appetizer came the server served us a hot baguette with an absolutely amazing spreadthat I would gladly purchase if they sold it. I’m not sure what the spread was but my friend and I just kept going at it and we were half full by the time our meal arrived. Starting off with the extremely creamy cream of pumpkin soup that I couldn’t finish because I had too much baguette. 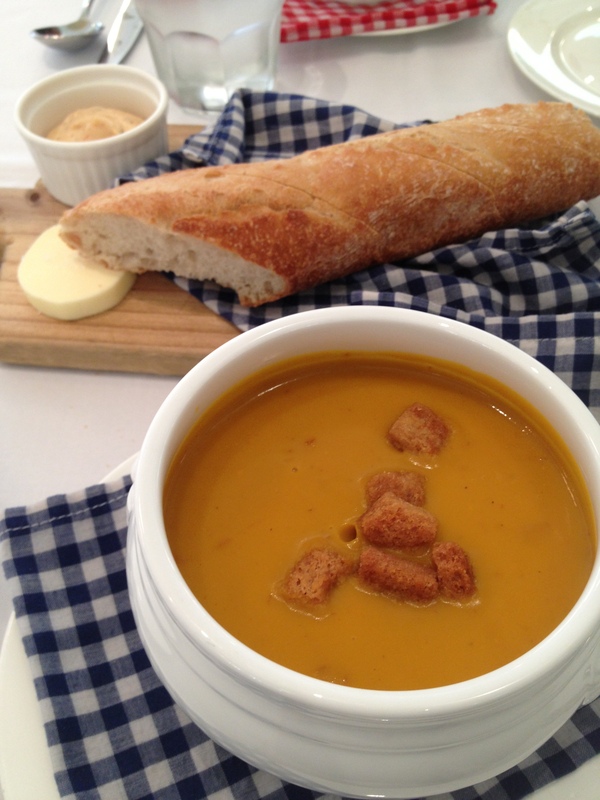 The soup was thick and extremely rich in pumpkin flavour. 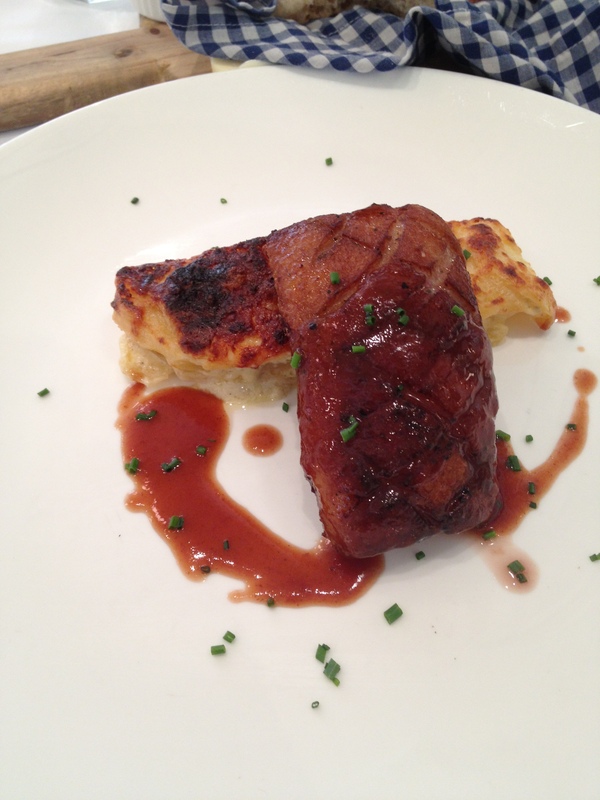 I was almost done after the soup and then the roast duck breast with potato scallops came (uh oh). The duck was juicy, tender and light so adding the potato scallops was a perfect addition to leave me just about full after I was done.